Susan Oâ€™Donohoe trained and worked for a number of years as a Montessori school teacher. Having completed the Diploma in Field Ecology in the School of BEES, UCC, Susan has worked with the US Forest Service in Oregon and is currently on a volunteer break with the National Park Service in Hawaii. Here she writes about her work in Hawaii. In Ireland I have been teaching for the last 8 years. I recently graduated with a diploma in Field Ecology and have been working on a voluntary basis with various conservation groups over the last few years. Since March 2010 I have been working as a International Visiting Wildlife Biologist with the US Forest Service in Oregon. There my initial stay of 9 months was extended to 18 months. As I have a “Government Visitor” J1 Visa I enquired if I could also work with the National Park Service. When I was told I could, I was delighted and found a volunteer job with HawaiÊ»i Volcanoes National Park on http://www.volunteer.gov/. I will stay here for 5 months and then I return to Oregon. I have always wanted to visit HawaiÊ»i. The first time I heard ukulele being played by a Hawaiian, I fell in love with the music and thought that such beautiful, special music must come from a very beautiful and special place. I chose to apply to this park because it was looking for Interpretation volunteers online. After I applied I researched and realised what a unique park it is. Active vulcanism, conservation and an emphasis on culture all make it an excellent and interesting place to volunteer. I hope to use my teachings skills when working in the Visitor Center to help the visitors understand what a unique place it is they are visiting. I am also working with USGS (based in the park) banding and tracking forest birds. I hope to use my experience banding birds for the BTO (British Trust for Ornithology) in Ireland and USFS (U.S. Forest Service) in Oregon to help gather data for a long-term demographic project at Hakalau Forest NWR (National Wildlife Refuge). The native birds in HawaiÊ»i need as much help as they can get and I feel very privileged to work with them. I hope to leave with a wealth of experience from opportunities that would not be available in Ireland. I would love to work with the National Parks and Wildlife Services in Ireland and believe my time spent here will definitely bring me closer to achieving my dream. I also hope to leave with many long-lasting friendships and a song or two on the ukulele. Bio: Susan O’Donohoe graduated from NUI Maynooth in 2001 with a Degree in German & Historical Studies. She then completed a Higher Diploma in Montessori Education at St Nicholas College, DunLaoghaire in 2003 and has been working as a Montessori teacher and manager since then. While teaching she attended a two year distance learning course in UCC and graduated with a Diploma in Field Ecology in Dec 2011. 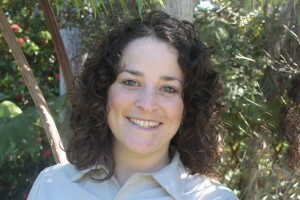 She finished the course in Feb 2011 and moved to OregonÂ one month later to work with the US Forest Service. There she is working as an International Visiting Wildlife Biologist working on conservation education and wildlife projects. She will stay for 18 months until Sept 2012. For five of these 18 months she is also working for the US Park Service in Hawaii Volcanoes National Park. There she is working with the park in interpretation andÂ in resource management managing and monitoring Nene geese. She is also working with USGS on a long-term demographic study of Hawaii’s forest birds. Her workÂ with the USFS, USPS and USGS is all voluntary. She receives aÂ small stipend and free accomodation in return for wonderful opportunities. This post previously appeared on the US National Park Service website. Find out more about the Diploma in Field Ecology at BEES. This entry was posted in Uncategorized and tagged ecology, field ecology, graduates, people, USA. Bookmark the permalink.